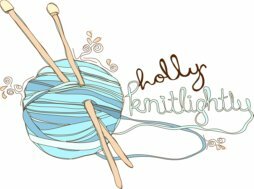 Holly Knitlightly: Bill Cosby Sweater Day! Ever since I decided I was going to celebrate every single holiday for the year, I've been excited to celebrate today's holiday. 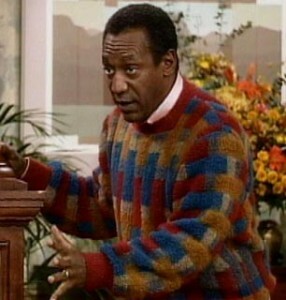 BILL COSBY SWEATER DAY!! Hahahaha. It's also Cheese Lover's Day! So, I made a cheeseball & we're heading over to Tim & De's all decked out in our Bill Cosby Sweaters!!! I'm going to be taking photos tonight, so I'll have "Part 2" tomorrow, ha. But for now here is a delicious cheese ball recipe! Combine cheddar and cream cheese in the bowl of a food processor. Blend to combine, scraping down the sides of the bowl as necessary. Add olives, lemon zest, cayenne, and dijon and pulse until olives are quite fine. Season to taste with salt, pepper, and additional cayenne, if desired. Transfer contents to piece of parchment paper or plastic wrap and place in a small bowl. Chill until very firm, about 2 hours, or up to 3 days in advance. Just before serving, roll the ball in the dill. If you have difficulty making the dill stick to the ball, the ball may be too cold, in which case let it sit at room temperature for 15 to 20 minutes, until the surface becomes a bit more tacky. 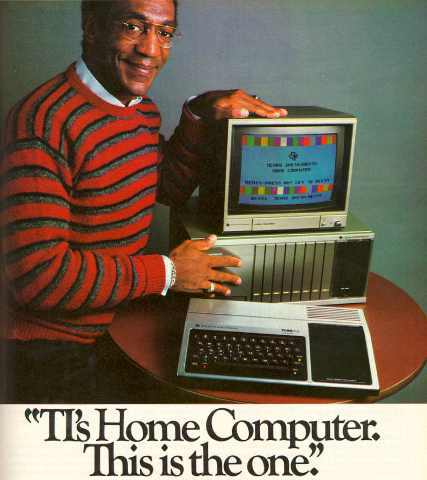 Hope you guys all have a wonderful Bill Cosby Sweater day! 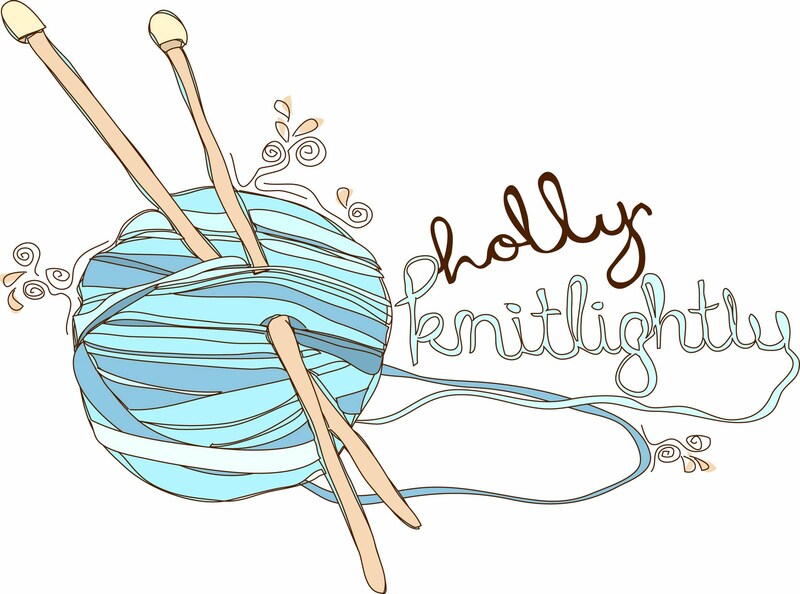 Oh & don't forget to enter the giveaway if you haven't yet! I LOVE his sweaters, hahaha!! Best day ever! What a great day! 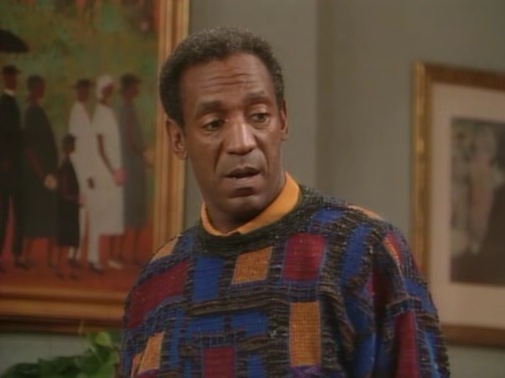 I see Bill Cosby sweaters at thrift stores all the time :). And thanks for sharing that delicious cheese ball recipe with us! 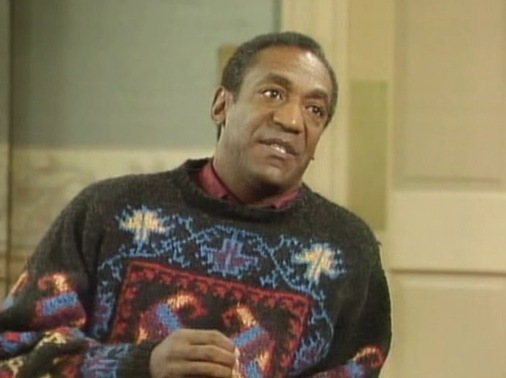 A whole party wearing Bill Cosby sweaters and eating cheese is possibly what heaven is like. 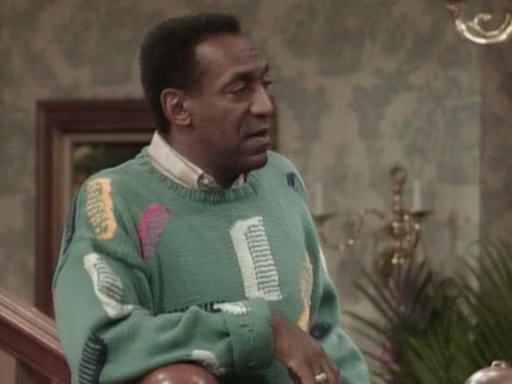 My grandfather has a HUGE collection of Cosby sweaters and wears them EVERY DAY! hahah i love bill cosby! this is awesome!! I LOVE his sweaters and I loved this show so much! Everytime I go thrifting I always find such wacky sweaters and it reminds me of him haha.